Tangy and sweet. Chutney is a spicy condiment made with fruits or vegetables. Chutney is becoming more popular here in Paraguay. I think a lot of people are still not sure what to do with it. The more adventures ones use it to prepare pork dishes or to accompany with chicken. I tried chutney for the first time while we were living in the US. It was on the table every time my in-laws would make some kind of curry. I loved it. Tangy and sweet. It went so well with the spiciness of the curry. The most popular chutney I’ve seen here in Paraguay and in the US has been mango chutney. I love the texture of mango. Chunky and creamy. Sadly, my husband is allergic to mangoes. So at home I try to make chutney with different kinds of fruits. 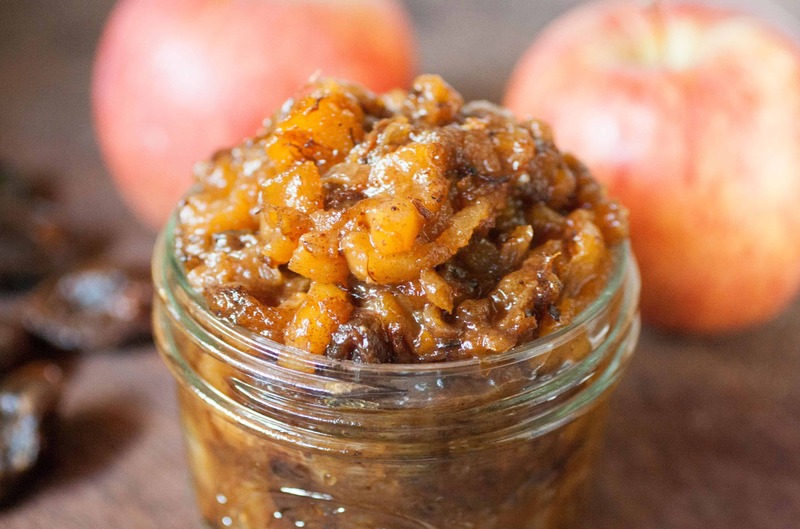 Apple chutney is one I make the most. We have apples year around and they are not too expensive, so its a no brainer. Chutney is very easy to make at home. I usually make a big batch and canned them in small jars. When making chutney at home, you can control the amount of sugar it goes into it. You can make it spicy or not spicy. Homemade chutney is a great holiday present too. 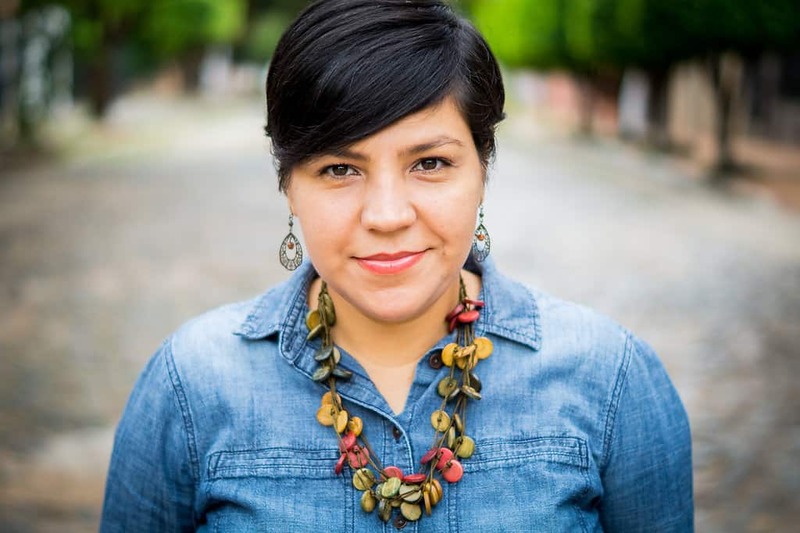 The recipe for today comes from Chef Mireille at The Schizo Chef. This week I’m participating in a Food Bloggers Recipe Swap were we are pair with another blogger to recreate one of their recipes. 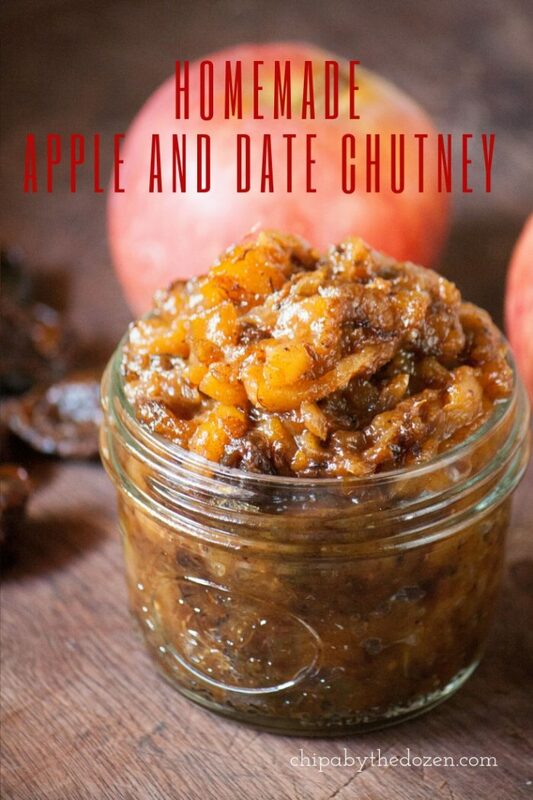 I was so happy to find this apple and date chutney recipe. We are moving back to the US in less than 2 months and I’m trying to use all the food we have left. I have a big bag of dates, so this recipe came on handy. 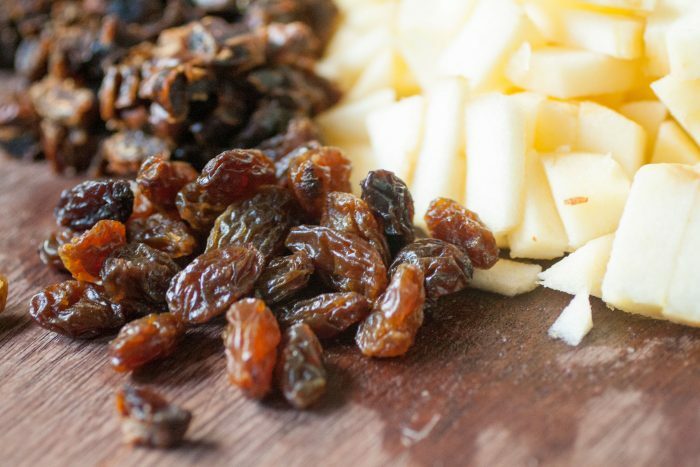 Chef Mireille uses mustard seed oil to make this chutney. I don’t have any but found online that you can substitute it with 2 tablespoons vegetable oil + 1 teaspoon dry mustard such as Colman’s, per 2 tablespoons needed. Apples: We don’t have many kinds of apples here in Paraguay. 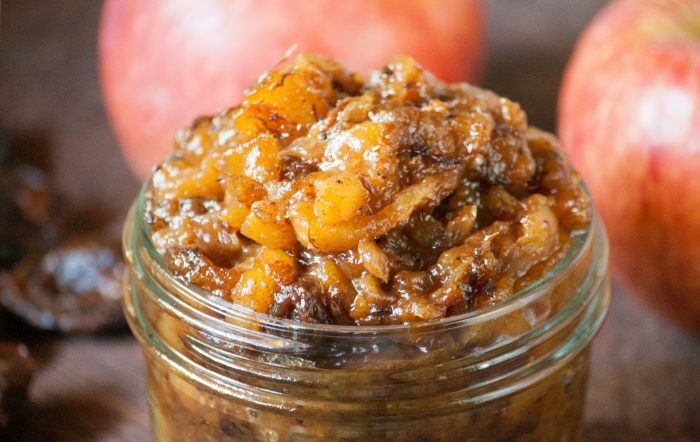 For this chutney, I used one similar to a Fuji apple. Have you made chutney before? what fruits have you used? In a medium saucepan, over low heat, saute onion, ginger, and oil until translucent. About 3 minutes. Add the rest of the ingredients and cook for 15 to 20 minutes. Stirring often. Turn off the heat and cool completely before storing in jars. This chutney keeps well in the fridge for up to 2 weeks. 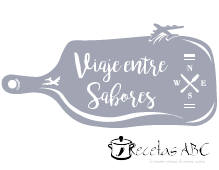 Please check out the other Recipe Swap Recipes! Sweet and . tangy, sounds like a perfect condiment to have on the dining table! I love the combination of the ingredients.The flavours sound delicious and I will definitely try it. 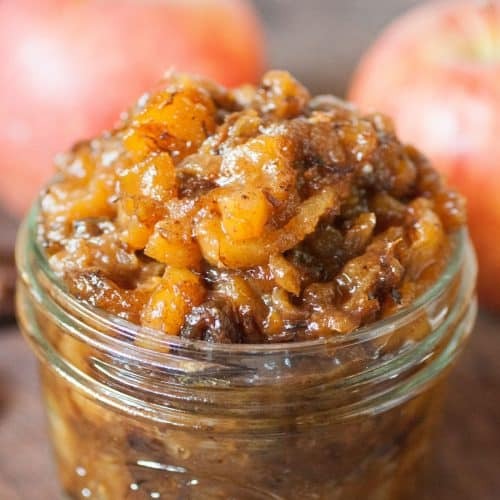 This chutney looks as a spicy condiment made with fruits……Love to have this tangy and sweet one. 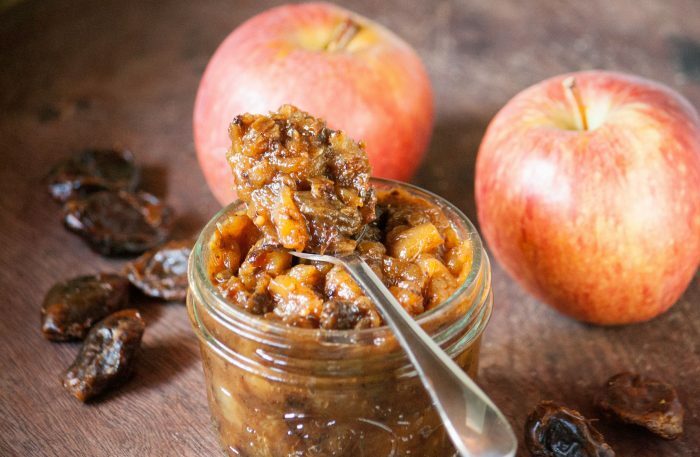 Apple and date chutney is stunning, with lots of spices this chutney is suitable for autumn season. Yes! and we are enjoying the nice cool weather here in Paraguay. This chutney looks delicious. Mouth-watering!! Yum! I can imagine the sweet and tangy notes that this jam would have, from the dates and the apple. I’m sure it was super flavourful! Thank you for trying it. I am so glad you guys liked it! and welcome back to the US!